Now based in Toronto, Heather is originally from Calgary. She began her professional musical career at the age of 14 in Montreal with regular performances on CBC TV . She is a professional vocalist with a five octave vocal range. She sings in a dizzying array of styles and genres, sweeping from sultry jazz to crystal clear opera and celtic, then puts on her powerhouse vocals for rock and dance music. She is a dynamic percussionist – playing congas, bongos and latin percussion giving her live band performances a driving, energetic and unique sound. 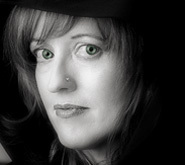 Heather is also a songwriter and a member of SOCAN, the Society of Composers, Authors and Music Publishers of Canada. As a musician, she is a member of The American Federation of Musicians of The United States and Canada. Her dual Canadian and American Citizenship allows her to work and live in both countries. 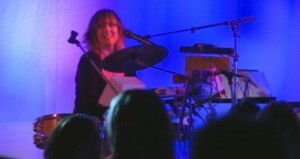 Heather plays a full percussion kit of congas, bongos, chimes, bells, blocks, cymbals, chimes and snare. 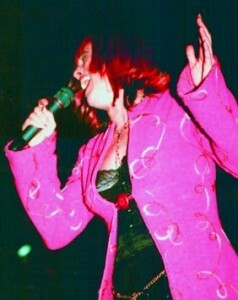 Heather’s five octave vocal range allows her to incorporate a unique vocal style into her performance. Her musical inspirations are as varied as her love of music. When singing jazz she is compared to Cleo Laine and Billie Holiday. As a rock singer she shakes the joint with Janis Joplin/Tina Turner power vocals. In R&B she embodies the range of Patti Labelle. She performs classical and opera with the same sweet & strong soprano range of Sarah Brightman. She performs folk and alternative with Sarah McLachlan prettiness, Celtic with traditional heart and Reggae with one foot in Jamaica.In the dance genre she is likened to Annie Lennox with a Cranberries edge. And through it all, she throws inYma Sumac inspired vocal flares adding those eclectic, five-octave personal touches into unexpected places. BongoGirl offers the ultimate Live Band DJ Toronto performances. I just wanted to thank you soooo much for the most amazing music we could have dreamed of at our wedding! We are so happy we chose your band because you totally MADE our wedding. As I'm sure I mentioned we probably went out to see every band in Toronto but as soon as we heard you we just knew you were the ONLY choice for us. I just know that no other band could have played so much variety of music and been so much fun for everyone from our grandparents to our school friends. You are totally the best! On a personal note I want to thank you so much for all your help during the planning process. I almost felt like you were my own personal wedding planner and I totally appreciate all the time you took to help me put everything together. I can't imagine how I would have done it without you. I know I'll be seeing you a lot cause all our friends loved you so much that they'll all be booking you for their weddings. Jeff and I can't wait to dance to your band again. Wedding Held at The Old Mill"